For more than a century, researchers have been aware of the benefits of the traditional childhood pastime of colouring for adults. Carl Jung was one of the first psychiatrists to recommend colouring as a relaxation technique, using mandalas. 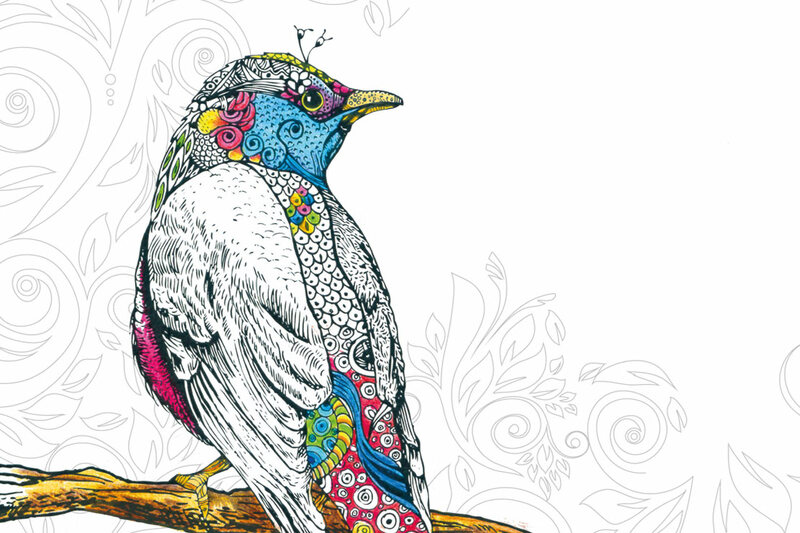 Colouring is believed to calm the amygdala, the part of the brain associated with fear and stress response. Some people report improved sleep after just five minutes devoted to colouring before they go to bed. There is also evidence to suggest that colouring-in for a short period can aid focus and stimulate both creativity and logic. Even creative types who may scoff at the notion of staying within the lines – and it’s up to you whether you do or not, by the way – have advocated colouring as a way of getting past writer’s block. Why not try it yourself?